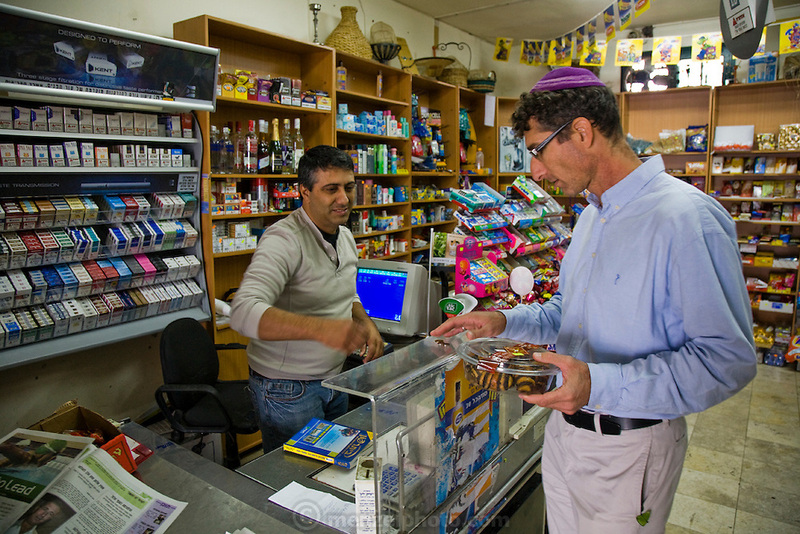 Ofer Sabath Beit-Halachmi, a Reform rabbi, pays for rugelach pastries at a grocery store near his home in Tzur Hadassah, Israel. (Ofer Sabath Beit-Halachmi is featured in the book What I Eat: Around the World in 80 Diets.) The caloric value of his typical day's worth of food in the month of October was 3100 Kcals. He is 43 years of age; 6 feet, 1 inch tall and 165 pounds. Ofer's town in the Judean Hills about 15 minutes southwest of Jerusalem is a communal settlement where residents lease land and houses from the state of Israel for a 99-year period. MODEL RELEASED.